The Amazon best-selling steampunk novel is now a free kindle book! This is Book One of Sedgwick’s best-selling young adult steampunk trilogy, and the first of seven titles set in his eclectic post-apocalyptic world of magic and steam. 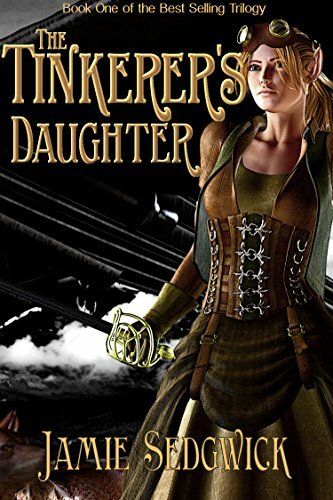 “The Tinkerer’s Daughter” follows the adventures of a young elven girl in a time of war, surrounded by ancient forgotten technologies and magic. Breeze is left in the care of a strange old Tinkerer, where she soon learns that the world is not as simple -or as safe- as anyone would like it to be. With a little help from the Tinkerman and his amazing discoveries, Breeze just might be able to change her world for the better. Unfortunately, peace is never easy and war always looms just over the horizon.